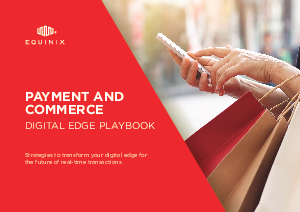 The Digital Edge Playbook for Payments and Commerce outlines how industry leaders are transforming their digital edge to leverage an ecosystem-based value chain for real-time insights and a frictionless experience. Our simple, three-step strategy offers proven best practices on how to re-architect your presence, integrate cloud and SaaS capabilities and enable new offerings based on interconnected collaboration. Download this whitepaper today to find out more.